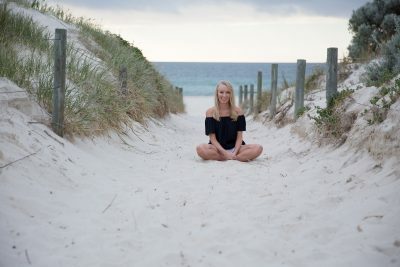 This lady is full of gems of wisdom, from starting her coaching business literally days before her daughter was born and braving the challenges of transitioning from being a personal trainer to business coach – we are thrilled to have Lanna Hill run a workshop on building a values-driven business at our upcoming Entrepreneurs Wellness Retreat in beautiful Yallingup. Read this interview to get insight into what she will be sharing at the Retreat – it’s a goodie! 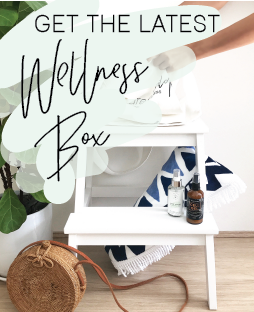 We are super excited to have you as a speaker at our upcoming Entrepreneurs Wellness Retreat on 16 February in Yallingup. For those of us who are new to Lanna Hill, tell us the most down to earth thing about you? What a great question! I’d like to think I’m pretty down to earth in general. One of my key skills as a business coach is cutting through the fluff and really getting to the heart of a business or brand, and magnifying what is genuine and real. I’ve experienced bullying personally and professionally and I think that’s why being humble and kind, and encouraging others are values that are really important to me, as is being approachable and relatable. Like most of us, I have unfortunately been spoken down to and I just feel like there is no need for it in life. I’m really a dag at heart – I have got a pretty cheesy sense of humour (I do enjoy a pun), love car dancing and don’t take myself too seriously. Your business coaching philosophy is all about helping business build value-driven a business. Can you explain this concept? What inspired you to build your business coaching on this philosophy? Yes! I’m so excited to be speaking more about this at the Entrepreneurs Wellness Retreat. Essentially every successful brand starts from its values. A brand needs to really connect and stand for something in 2019 to create long term engagement – and this comes from a strong and tangible set of values. So from a branding and marketing standpoint, values are absolutely critical and number one in creating a values-driven strategy for your business. 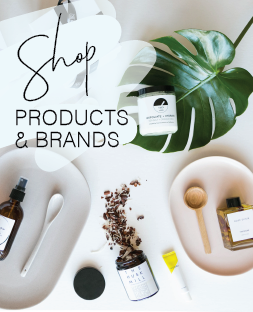 I’m also really passionate about this because when you start your own business, the reality is it is a long game, and it will involve blood, sweat and tears. It’s not easy. But if the business is in alignment with your values, the reward will be more than worth the effort. Incorporating personal goals as a part of your business strategy is also really important – work/life balance is just so tricky to achieve in the world of entrepreneurship, particularly when there is still a relatively narrow definition of success. Success is truly personal, so starting here when creating a business strategy is again something that is really important to me when I’m working with clients. I had a few things that inspired me to start my business, and to provide a coaching service the way that I do, but one of the key reasons was to basically show small business owners that they could achieve their goals, and more importantly that they are well and truly in charge of their success and believe wholeheartedly in themselves and their ability to self-implement. Do you encounter many entrepreneurs who struggle with their health and wellness goals while building a business? Why do you think they struggle with this? What aspect of health and wellbeing do you think they struggle with the most? 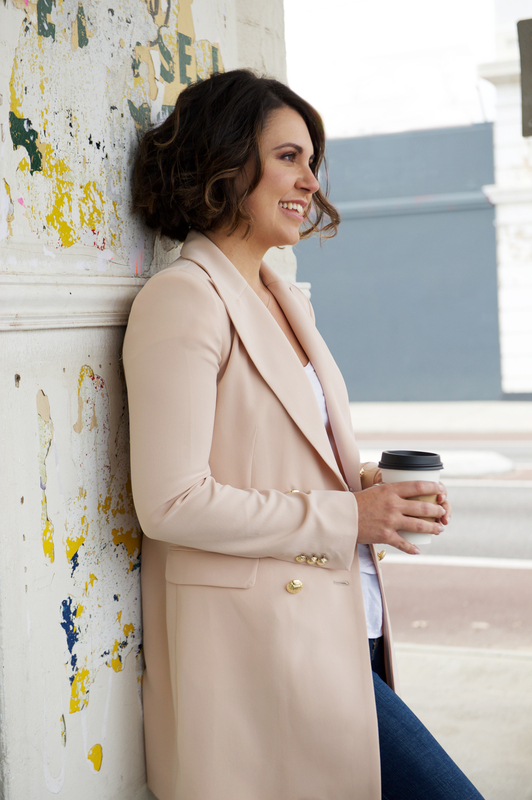 This is HUGE – and yes, I encounter many entrepreneurs who struggle with some aspect of their physical, mental or emotional health whilst building a business. In fact, I don’t know many business owners that haven’t struggled with this at some time in their business journey. The reality is it’s really hard work, and success very rarely happens overnight. I think there is actually a huge amount of pressure in the entrepreneurial world at the moment, and a big contributor to this is social media. I get so sick of seeing the promises of five figure months or six figure businesses – it is so easy for people to think they are doing something wrong in small business. There’s already so much for us to stay on top of, and most of the time there’s only one person wearing a multitude of hats. That’s another reason why I love strategy – it should simplify and clarify and provide a strong sense of direction. I’ve come close to burn out a couple of times myself – I’m very good at handling a heavy workload, have a lot of energy and drive and basically am quite impatient! But I’ve learnt the hard way you’ve just got to run your own race and don’t forget to check in with yourself. It really is a marathon, not a sprint. I feel like most of us need to take some pressure off and remember that Rome wasn’t built in a day. Your skin is always glowing and you have so much energy! Can you share with us your health regime to keep yourself balanced? I have to admit I don’t have as much of a health regime as I would like – a lot of it comes down to good genes and Instagram filters! I do drink a lot of water, and am fairly disciplined with my eating habits – I don’t eat much sugar, avoid gluten and try and limit my dairy. I love getting outdoors, whether that be the beach or just a walk to the park with my kids. Having fun is also really important to me – I think a lot of my energy comes from the fact that I love what I do, and I am pretty damn happy within my own life. And coffee. Lots of coffee! 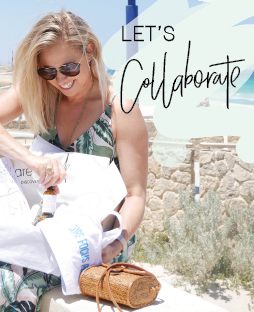 Can you give our community, especially the Retreat attendees, a sneak peak into the goodness you will share at the Entrepreneurs Wellness Retreat? What can they expect to learn from you? I’m so excited for the retreat! I’m going to be delving right into how you create a values-based strategy for your business, and why this is so critical from a branding and marketing perspective. The core of what I do is showing small business owners how to create sustainable strategies for their business that connect with their audience on a deeper level. At the Entrepreneurs Wellness Retreat, I will be providing the attendees with my step-by-step process to uncovering this for themselves. Marketing in the current environment is more than ever about leveraging a meaningful point of difference, in combination with a really strong brand, to do things differently. It’s critical for you to know what you stand for, and how you stand out, for your customers to engage with you on a long-term basis. Buyers are much savvier now and have loads of choice – and we’re actually becoming more and more resistant to marketing. Which again is why it’s so important to really connect – business relationships that are transactional and short term just won’t go the distance. What are 3 fun facts about yourself that you haven’t shared in an interview? 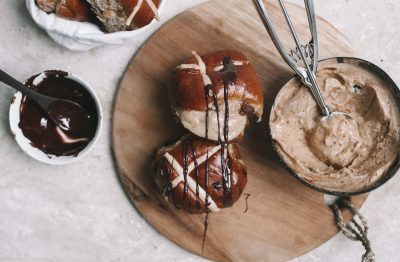 I’ve shared a few in this interview but one would be that I can’t cope with sweet and savoury as a combination – so a Danish pastry or pineapple on pizza for example really messes with my head. My brain works best backwards – so I like reading papers or magazines backwards, I solve problems best backwards, and I’m pretty good at running backwards. And the last one I can think of would be that despite being absolutely SHOCKING at maths, I have a photographic memory for numbers. I’m sure the retreat attendees will find out a few more! Delivered right to your inbox for your reading pleasure. 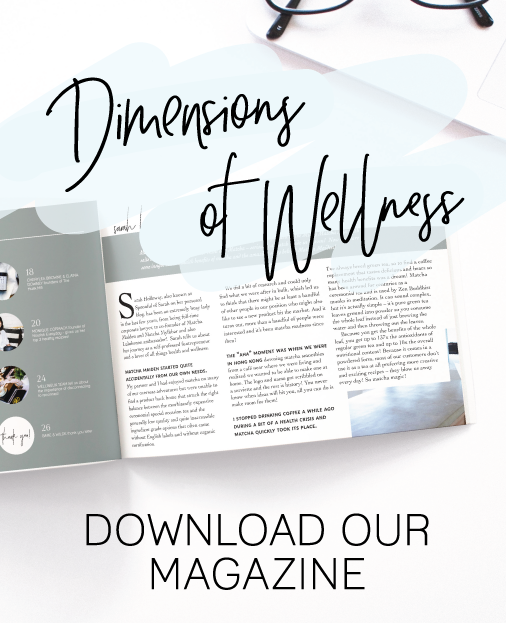 Our magazine will fill you in on all the stories behind the amazing brands we work with and the latest trends and stories in the wellness world. Yes, please. I want a copy in my inbox!